Stressed Rhona is grateful when Pierce offers to look after Leo and he’s chuffed he can help out. 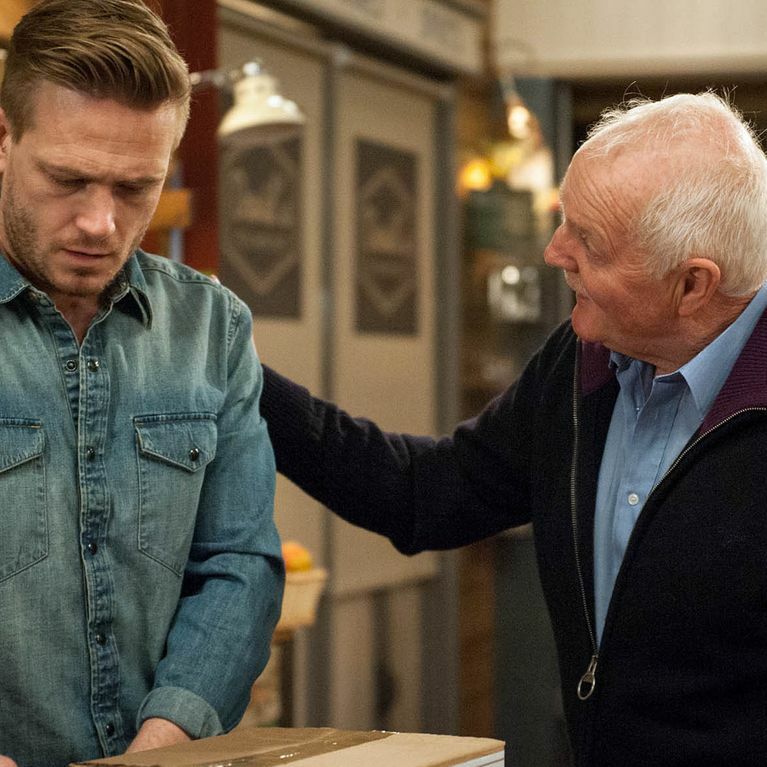 However later, Marlon’s unimpressed when he finds Pierce looking after Leo in the cafe, he tells Rhona that Pierce has told Paddy not to call the house anymore. Will Pierce be able to explain himself? Belle jumps at the opportunity to pick up Lisa’s prescription asDr Bailey has been ignoring her texts. At the surgery Dr Bailey is quick to take her into his office, aware he doesn’t want her causing a scene. He asks her to tell him the truth; she pales to know she’s been rumbled but will she be able to explain her way out of this situation? Pollard and Tracy are concerned to see how stressed David is. Nicola’s unimpressed that Jimmy’s best buddies with Jai all of a sudden. Finn hands in his notice at the B&B. At the fundraiser, Dr Bailey can hardly watch as Belle chats to his oblivious wife Angie. Belle relish’s his panic as she joins them and continues to push her luck until Lisa interrupts and she is denied her chance to expose him. Later Charity is surprised when Belle tells her she’s been seeing a married man and asks if she can help her exact some revenge. Will devilish Charity be able to resist a challenge? Victoria and Holly are under-whelmed by Finn’s idea to open a cab firm, but he’s determined to have something for Pete to get involved in went he gets out of prison. Finn tells Ross about his idea but is gutted when Adam tells him he might not get a license due to his criminal record. He shoots Ross an evil look. Will Ross be able to make it up to his little brother? 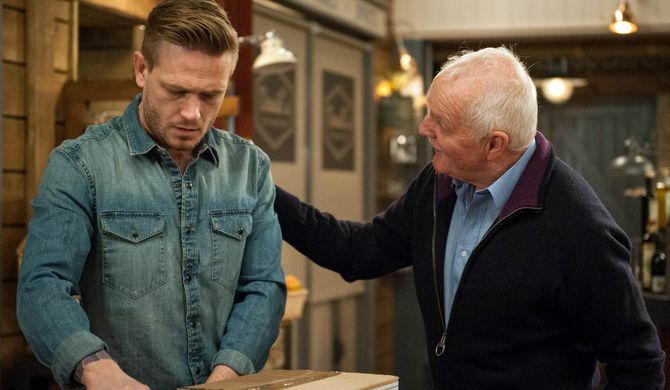 ALSO: Cain’s rattled when Charity teases him about Pete’s return. Rhona’s jealous to see Pierce chatting animatedly with Megan is shocked when Jai suggests that it would be good for Eliza to have a proper family. Emmerdale 19/6 - Marlon poisons Pierce?